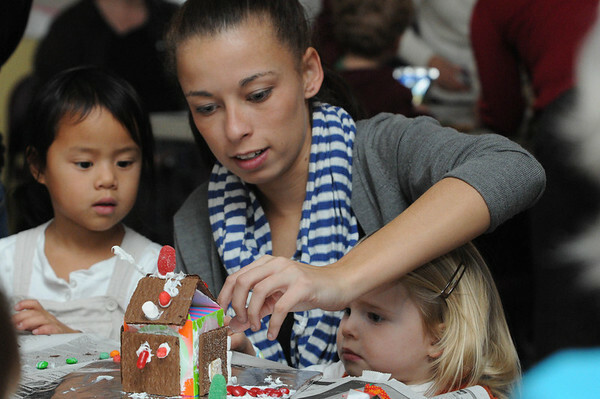 From left, Cornelia Payne, 4, gets help from her babysitter, Avril Williams, as sister, Eliza Payne, 3, watches the construction of a gingerbread house during the gingerbread house workshop at the Marblehead Museum. One of two workshops which are part of the Marblehead Christmas Walk. Photo by Ken Yuszkus/Salem News, Tuesday, November 29, 2011.